It’s time for another edition of Annie’s Craft Store’s lookbook! 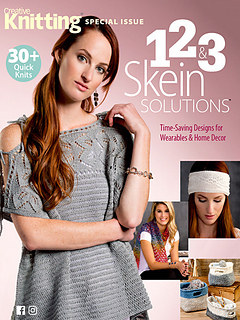 Whether it’s knit or crochet, Annie’s has something for everyone in their Autumn Glow Collection. There are 5 designs made with your favorite Plymouth Yarns! Of course you want to make them all but let Plymouth and Annie’s help you get started with a giveaway. One lucky winner will get to chose a pre-selected knit or crochet kit! All you need to do to enter is comment on our blog and tell us your essential knitwear piece for the Autumn transition. Giveaway is open from 9/15/17 through 9/30/17. 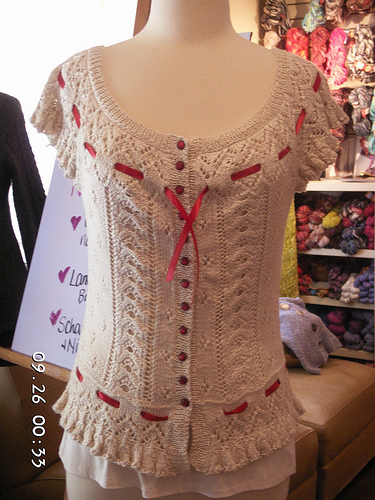 You will receive the pattern via digital download from Annie’s and Plymouth Yarn will send you the required yarn. See terms and conditions below. You will be able to chose between the Sirimiri Cardi, crocheted with Encore DK color 389. Or for our knitters….made with Encore Worsted 389 is the Forevermore Poncho! Giveaway rules: To enter– tell us your favorite transitional garment by commenting on this blog from 9/15/17 through 9/30/17. Plymouth Yarn employees and their immediate family are not eligible. Contest is open to US residents 18 or older only. Valid email address is necessary for both contest entry and electronic pattern delivery directly from Annie’s Craft Store. 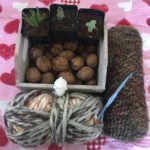 Yarn will be delivered from Plymouth Yarn to valid US addresses only. All entries must be received by 11:59pm on 9/30/17. Multiple entries will be disqualified. One winner will be chosen October 2nd, 2017 by random number generator and notified via the email provided. Winner can chose either the knit Forevermore Poncho kit or the crochet Sirimiri Cardi kit. No purchase necessary, void where prohibited. PreviousHappy September! Fall Knitting has Begun! My go to piece is a poncho. It works over just about anything, long sleeved, short sleeved, and in just about any fiber. Cotton or linen for warmer days, wool or alpaca for cooler days. Thanks for the great giveaway! My favorite to transition seasons is my poncho. Knit of a DK wt yarn. With color! Lots of color! Because that’s what Fall is all about. I love my silk lace cardigan for transit action seasons. Light enough to go through the day, and warm enough for a cool evening. 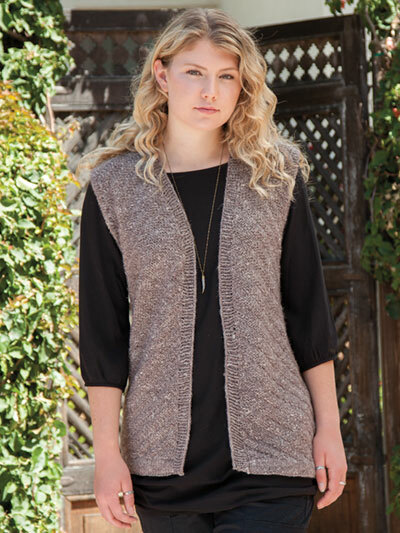 I have a couple of handknit vests that my mom made for me that are great transitional pieces! I am looking for yarn and a poncho pattern for the fall. The perfect transition item to keep the chill off and be comfortable. My favorite transitional garment is the Forevermore Poncho. It is elegant, timeless and just the perfect transitional garment. My most favorite transitional piece is a Shawl. I live in FL, so don’t really need to worry about big transitions in the seasons! I love cardigans and any sweater with a hood. I must have been a bear in a previous life because when it gets cooler I like to hibernate with something comfy and cozy. My favorite fall transitional garment is cardigans and ponchos! Great layering pieces to keep of the chill but easy to take off when it warms up, too. I love a light Cardigan or poncho as a layering piece especially her in Alberta, Canada. We can have temps that go fro close to 0C to 20C. Weather could be snow, frost, rain and sunshine all in one day! I love poncho’s! An easy piece to wear & so comfortable. A light cardigan for me. Something I can put on as the day cools, but isn’t bulk to carry or find a spot for. I like the poncho as a transitional piece. A cardigan with hoodie and large pockets. I love to knit vests but this year I decided to knit a few ponchos. One is almost done and I have yarn bought for 2 more. All of them are so different. My favorite transitional item is an open front cardigan. I can wear it over a tshirt or long sleeve shirt when it’s especially chilly out! I really love the Forevermore Poncho, it can be dressed up or dressed down and is absolutely perfect for Phoenix winters! For chilly days you can layer upon layer. Thanks for the chance to win! Favorite transitional garment is a cowl first, then as it gets cooler a sweater. Eventually I might have to pull out a jacket with hat and gloves. A poncho using encore would be just about right. I would really like to make the forevermore poncho. I have a woven mohair rectangular shawl that I love for the first cool mornings of autumn. I love the poncho with the cabling. And sleeves. A poncho is my favorite transition piece! Love a poncho as a transition piece for fall, my favorite season. I love the Forever More Poncho. I love ponchos! So practical for fall! The Forevermore Poncho. I love the lace work. Patterns that are challenging are a must for me. I love the look of ponchos especially the look of the Forevermore one it is so unique and stylish. I am starting to love cardigans too though they are all so beautiful I would wear them all. I love a poncho. it can be worn over a t-shirt for a little extra warmth and even worn over a sweater on those days that are colder but do not yet warrant a winter jacket. Also great if you work in an office where the air conditioning makes it chilly. I love cardigans!!! They are comfortable and easy to put on and take off as the temperature changes during the day. Love a knit poncho .. my turn to make one for myself! My go to transition piece for Autumn has got to be a poncho it’s just warm enough on a cool day and cool enough on a warm day. I love a poncho or hooded sweater! My favorite transitional item is scarves! I love hooded too but have never made one. Scarves are the perfect way to dress up any outfit and keep warm when there is a chill in te air. I love shawls and wraps. very easy on and off when the weather is changing. My favorite fall garment is a poncho. It’s fast to put on and adds to almost any outfit. I love my cardigans! They are my favorite year – round when the weather turns cool. I do want to try out a shawl or poncho, but haven’t gotten to making one yet….. So many unfinished projects! My favorite piece is any one of my shawls. I have filmy, lightweight ones and then heavier weight as it gets cooler. They are so versatile that I even wear them over my work uniforms! Thanks for the chance. My favorite transitional go to is cardigan made with a thick yarn. My go to season transition is a poncho. It’s a perfect fit for the change of temperatures. I look forward to the seasons changing as well as my wardrobe. My favorite is a blue and grey cardigan, already worn a couple times this fall. My favourite fall piece is an oversized sweater. Something that can cover my hands and I can snuggle into when I sit on the couch to knit or watch a show. I love a cozy knitted poncho for these crisp fall days! A light cardigan is a great transitional garment. You can control the amount of warmth by opening the front yet because it is light full coverage you are still guaranteed warmth. Definitely my favorite! I am a sucker for a poncho. I love the Forevermore Poncho by Che Lam. I would make the Sirimiri Cardi. I have made several ponchos and enjoy them but the Cardi would be a terrific fall jacket. LOVE IT! A very light weight cardigan. Although I’m very fond of ponchos too. That poncho is lovely! It looks like it’d be wonderful to knit too! Would love to win it! I love my oblong shawl! You can’t beat a lightweight cardigan for fall transition. I am eyeing that beautiful poncho though. I love a nice oversized cardigan for transitioning between seasons. Just throw it on over whatever I’m wearing and keep on going! That poncho is tempting though…. Nothing beats a cardigan for the best transitional piece. You have 2 great ones with completely different looks. Love them both. I really love ponchos and wraps. That Forevermore Poncho is to die for. A long cardigan is a favorite. Love the Forevermore. It’s wonderful. I love the Frever more poncho–it has sleeves –makes it perfect!!! For sure a poncho or ruana. Headed to Ravelry to favorite this poncho. Pick me please! I think the Forevermore poncho is perfect for the changing autumn season! My favorite fall transiotional clothing items are sweaters, especially cardigans. My mom is an expert crocheter so I’ll chose the crocheted cardigan. San Francisco is either accused of having no seasons, or of racing through all four seasons every day. Whatever the truth is, when Fall comes I get by with a cap, and only occasionally need a scarf. One of the benefits of being a native is wearing shorts while others are pulling out the long underwear and greatcoats. Of course nothing stops me from wearing my handknit sweaters most of the year round. This made me laugh! My husband and I visited San Francisco years ago and we both bought sweatshirts the day we landed! We were shocked how chilly it was. That was before my knitting day. Now, I always have a shawl or shrug nearby! My go-to fall wardrobe pieces are my knitted hats. They were one of the first things I learned how to knit, after making my first scarf using garter stitch. I then started in with loom hats and continued on straight needles for some very dashing rasta beanies that my knitting instructor found the pattern for and thought that I’d love it- which I did! 🙂 It was (for the beanies) the first time I had used two colors for striping and it turned out beautifully ^_^ <3. I made many of these into gifts for freinds and family, too! 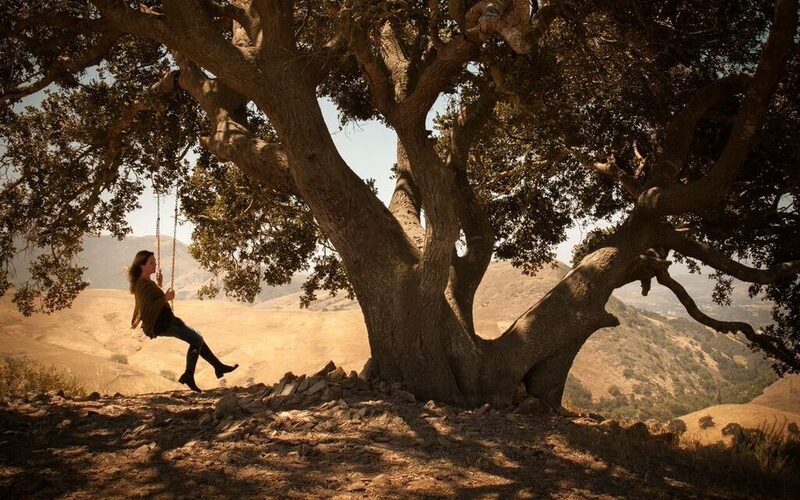 I love a vest, but this is so pretty, I’d give a poncho a try! Definitely a poncho! The perfect transitional piece and oh so pretty! 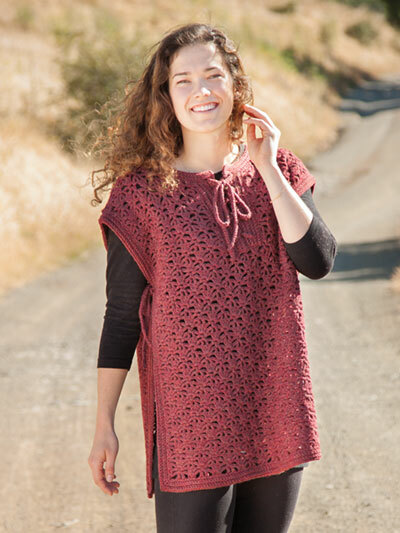 I love lace shawls..but I have to say I love the forevermore poncho…would love to knit it for my daughter. My favorite transitional piece is the forever more poncho, perfect for chilly fall days. My go-to transitional garment is a cardigan or light jacket. From this collection I really like the Forevermore Poncho, the Golden Grove Cardi, and the Moss on a Twig and I’m going to show them to my daughter and see if she lets me make one of them for her. She is extremely picky and fashion conscious, plus she’s expecting (due in March or April). It’s no fun going through the winter cold when none of your jackets will fit over your baby belly. I can’t wait to give that lovely draping Forevermore Poncho a try! My favorite piece is a shawl I use all the time. My friends call me grandma. ( Vóvo) in Portuguese. I love ❤️ it! A long cardigan! With nice big pockets!